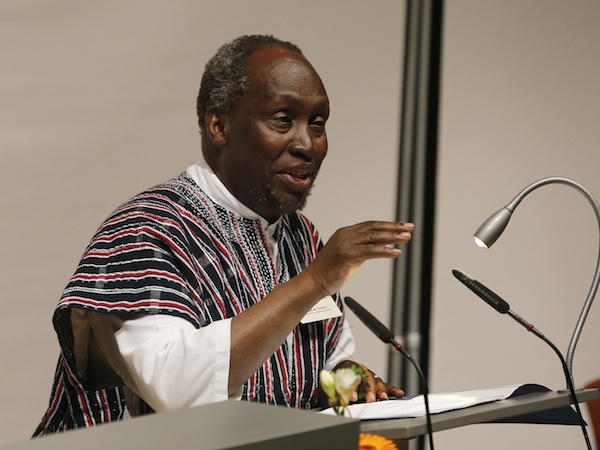 Renowned Kenyan author Prof Ngugi wa Thiong’o believes people who have mastered foreign languages, but are not conversant with that of their ethnic group, are enslaved. “If you have mastered the environment of your home, you can go to other places very well and come back, unlike when you go somewhere and do not know where you come from,” said the author, adding that “if you know the language of your culture and add the others, it is empowerment.” Prof Ngugi had earlier said his switch to writing in the local language was motivated by the fact that his mother could not read his books in English, since she had not mastered the language. In his book Decolonising the Mind, the author advocates the preservation of local languages, saying imperialists used their languages to succeed in their push to colonise Africa by “killing” the local dialects. “County governments must put resources behind African languages; let it not just be talk that we support our language but we give priority to foreign languages. If we support our local languages, we will create new people who will conquer the world,” he said.